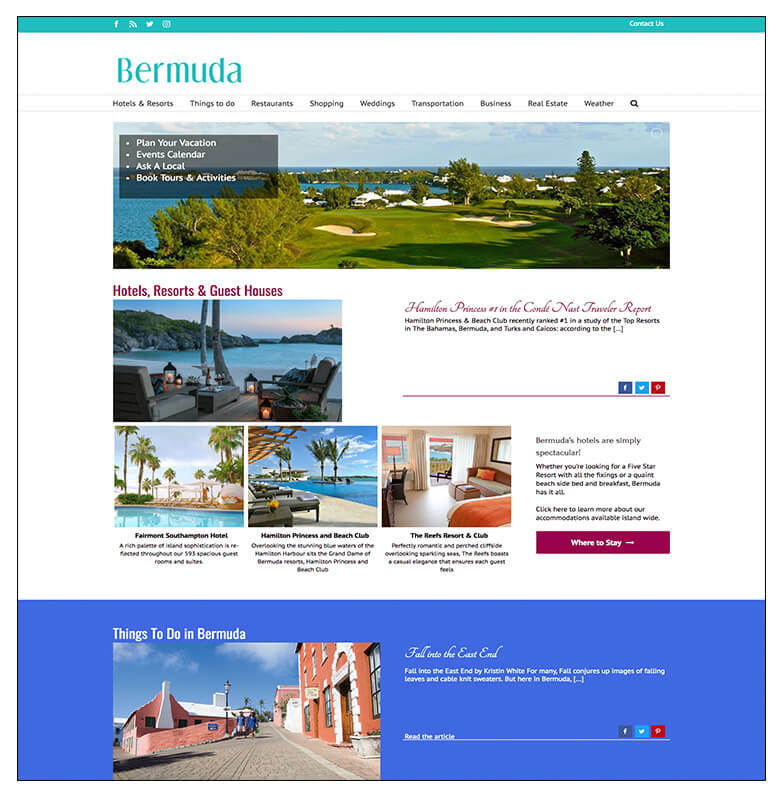 Whether planning a trip to Bermuda, navigating your vacation once on island or just looking for some travel inspiration, Bermuda.com is a stunning place to start and finish planning each Bermudaful day. The homepage opens with a selection of our premier partners who offer the best quality experiences. Our categories and sub categories expand your search to our trusted partners across the island who are carefully categorized for your specific searching needs. 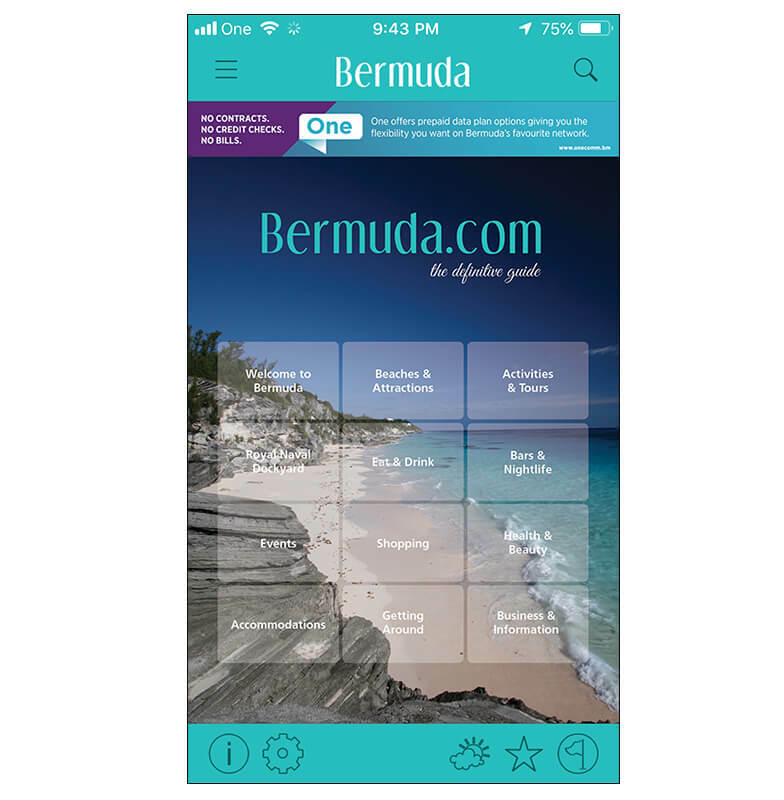 Learn more about Bermuda in both our “Articles” section with real time interviews and stories or if you’re a history buff, you’ll love “About Bermuda”. We are a small island jam packed with an abundance of history. The “Events” section offers the most comprehensive events calendar on island. 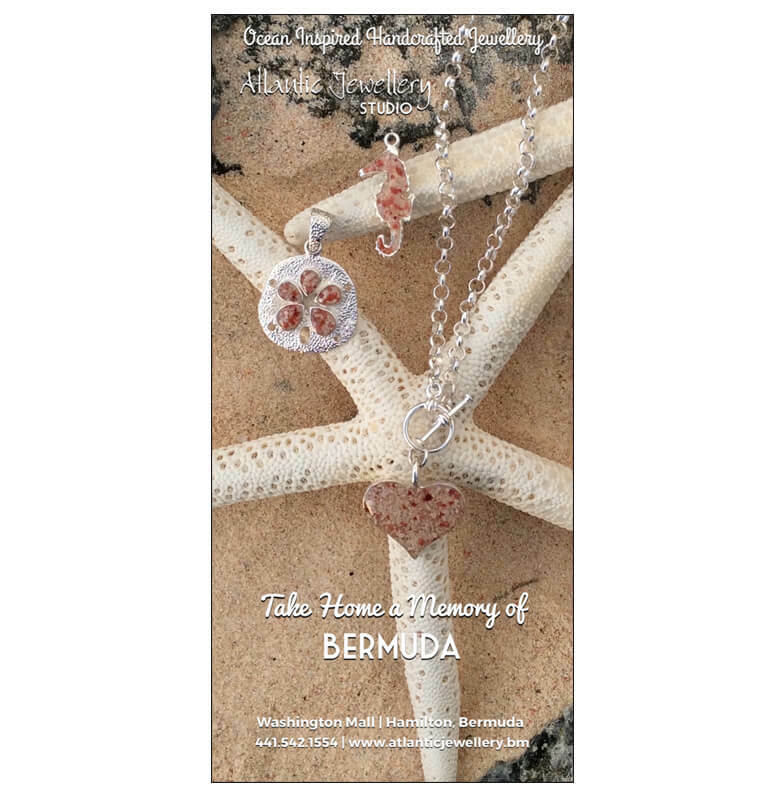 Bermuda Magazine is a must pick up and makes a nice keep sake to take home. using our transportation section, you pick the how! stores available in those locations. 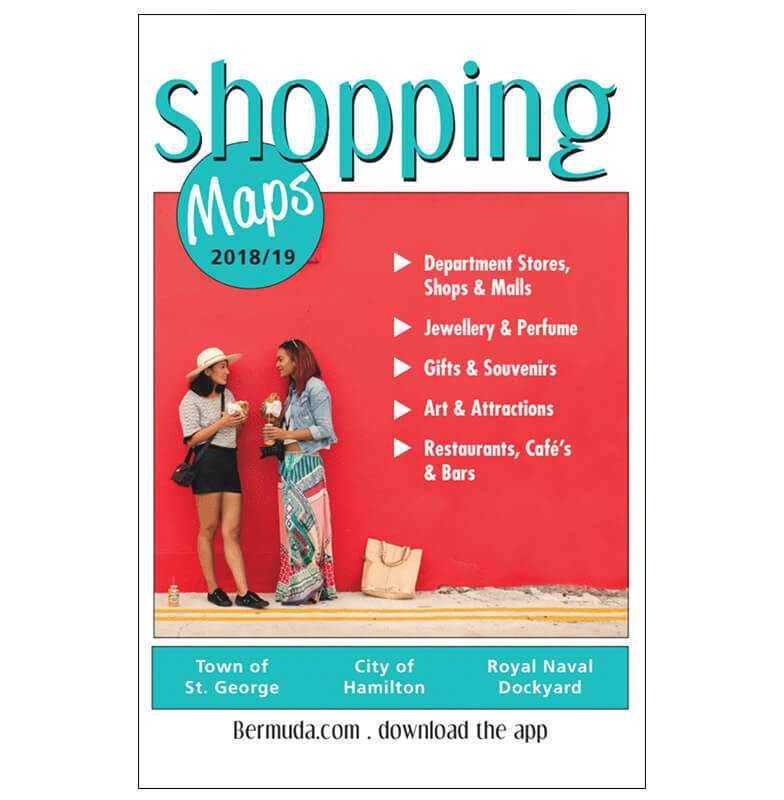 information about Bermuda including maps, discounts, entertainment, dining, watersports and more.